The iconic duo's acclaimed production, first presented at the Royal Opera House in 2016 over four sold-out shows, was reprised at the venue for a further four nights in July 2018 as part of their 'Super' tour. Staged by long-term PSB designer Es Devlin and choreographer/director Lynne Page, the show was filmed by director David Barnard. 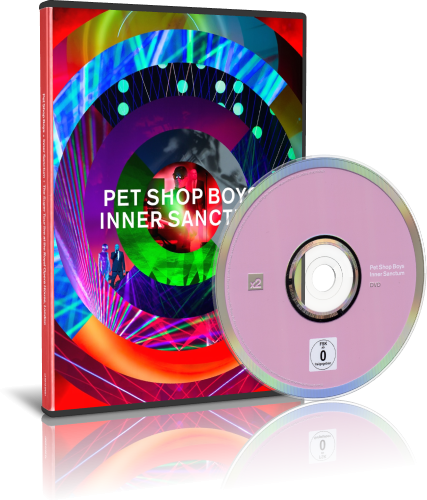 Filmed on 27 and 28 July 2018, the full-length film on DVD and Blu-ray is accompanied by two CDs of the complete audio of the live show plus a bonus feature of PSB live at Rock in Rio, which was recorded on 17 September 2017 at the Brazilian festival. The 'Inner Sanctum' production won rave reviews for a musical and visual extravaganza which brought lasers, dazzling choreography and immersive visuals and stage design to the ornate surroundings of the Royal Opera House for an electrifying show. The set-list featured contemporary PSB material from their last two albums 'Super' and 'Electric' mixed with many PSB's classic hits from their peerless back catalogue including 'Love comes quickly', 'West End Girls', 'It's A Sin', 'Go West' and 'Always On My Mind'.